Make affordable calls to Tijuana today! Tijuana. So close yet so far. For a city that’s just across the border from San Diego, calling Tijuana can feel much too complex. 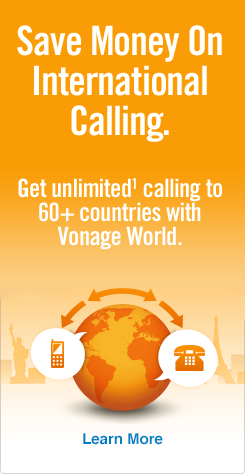 For instance, Vonage World® covered your calls to landlines in Mexico for one low monthly rate. But that was just landlines. For mobiles, you had to use Tijuana calling cards. Not only was it a hassle to have TWO different methods to call Tijuana, those calling cards were pricey and ran out quickly. Unlimited¹ landline calls to Mexico and more than 60 other countries! Unlimited¹ calls to Mexico mobiles as well as mobiles in 10 additional countries! Unlimited¹ calling to Tijuana is so close you can feel it. Or is it hear it? Either way, Vonage World Mexico Sin Limites is the ONLY calling plan you need when calling Tijuana as you’ll be able to call landlines and mobiles seamlessly. You know Tijuana is just over the border from San Diego, but do you know how to call Tijuana from the USA? Then, dial 664 — the Tijuana area code. And that right there is how to call Tijuana from the USA, complete with the Tijuana calling code/Tijuana dialing code. Whatever you call it, we bet that you have friends and family in other parts of Mexico as well, so take a look at our post on how to call Mexico, as Vonage World Mexico Sin Limites covers the entire country! As mentioned earlier, Tijuana is located just over the border from San Diego, California, and due to its proximity to the U.S., has the busiest border crossing on the planet. The heavy influx of people heading into Tijuana makes it one of the fastest growing cities in Mexico. A number of hotels, clubs and bars have sprung up in recent decades as well as multiple manufacturing facilities, giving Tijuana an economy built on multiple industries, as it is one of the strongest cities (economically) in all of Mexico.